The visionary objective is to generate an integral multi-physics model for the entire blast furnace that integrates ultra-high fidelity predictions into a digital twin of the blast furnace. A requirement for a Digital Twin results from numerous engineering challenges that necessitate a shift from current empirical-based practice to an advanced multi-physics simulation technology including multi-physical models on different length-scales to mirror accurately the state of a blast furnace. This motivates an encompassing approach to describe various processes such as the tripping zone, raceway or cohesive zone with best available physical models. An analysis of predicted results will unveil underlying physics and thus, impacts design and operation of a blast furnace. The Digital Twin can also predict responses of the blast furnace to safety critical events and uncover previously unknown issues before they become critical. Taking a generic approach for the modelling framework allows applying the simulation platform also to similar processes such as COREX or FINEX. 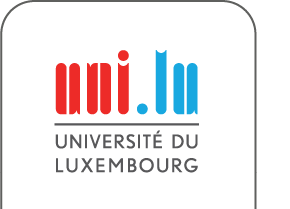 The project is funded by programme “Investissement pour la compétitivite et emploi” - European Regional Development Fund (Grant agreement: 2016-01-002-06) and through internal resources of the University of Luxembourg.